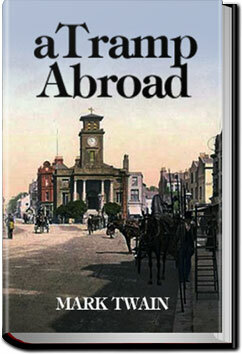 A Tramp Abroad is a work of non-fiction travel literature by American author Mark Twain. The book details a journey by the author, with his friend Harris (a character created for the book, and based on his closest friend, Joseph Twichell), through central and southern Europe. While the stated goal of the journey is to walk most of the way, the men find themselves using other forms of transport as they traverse the continent. The book is often thought to be an unofficial sequel to an earlier Twain travel book,The Innocents Abroad. As the two men make their way through Germany, the Alps, and Italy, they encounter situations made all the more humorous by their reactions to them. The narrator (Twain) plays the part of the American tourist of the time, believing that he understands all that he sees, but in reality understanding none of it. The term “tramp” is meant as in a “walk-about” and not as in a “bum”.